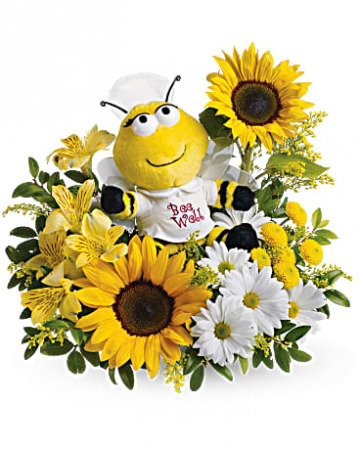 Campbells Soup Mug Red Carnations, Yellow Gerbers And White Filler Flower With Greens. Let this warm the heart of your recipient. 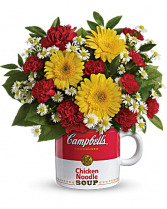 Colorful flowers to brighten anyone's day arranged in a reusable soup mug.